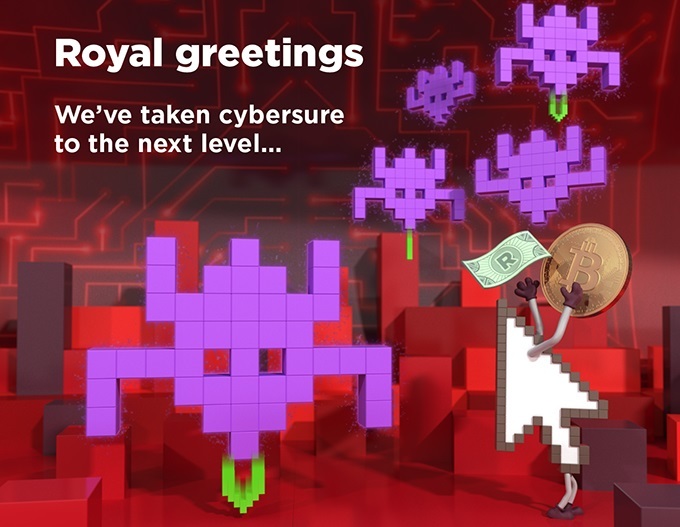 Are You #CyberSmart and #CyberSure in Digital World? This is the time of the century where we are always connected and always online and if we are not, we feel that we are missing something. In this connected world, we are dependent on our devices whatever it may be the smartphone, tablet or notebooks or computers and with time these devices begin to control us as we don’t remember our passwords and totally dependent on the login details automatically saved and provided by our gadgets. This brings us to a total halt when we change devices or someone cracks our passwords or the network we use to store the same has been hacked by someone. It’s easy these days as we have unlimited apps which store our data and can be easily hacked so we need to be Cybersmart all the time. It’s a daily effort and regular cleaning of our gadgets which can enable us to secure our passwords and also changing passwords at regular intervals can help a lot. There is no shortcut to this but if you want to secure your data and passwords, you have to take the road less traveled. We have seen in the past a lot of hacking has been done on celebrities mobile phones and cloud data of various gaming networks leading to a lot of demotivation to trust in the new technology. There are stills laws planned out or in the process of creation if any crime happens to you so you need to be Cybersure that your insurance protects you in the case of cybercrime. People are not aware of these things and to make them aware, King Price has launched an online portal to learn more about the same as well as given a chance to win a share of R1 Million in Bitcoins or cash. The deadlines are near and during this holiday season, you can easily find time to check out this game and show your skills while answering some good questions related to Cyber Security which will make you Cyber-savvy. Check out the www.cybersure.co.za and if you complete all 3 levels your name will be entered into a lucky draw to win. The game is just like Space Invaders which we used to play when we were young and I am sure you must have mastered this game. I have tried my luck in this game and got several entries as and when I have played but I don't think my score will be in the top players but anyways the knowledge I have acquired has really made me think about the Cyber Security and also that it's in my hands to stay protected in the digital world. The Life's Way is very happy to celebrate its 5th birthday this holiday season and far from the crowd, it is going to be a private affair with myself having some whoopie moments. We have come so far and next round of things will be classy and entrepreneurial. Being content is no easy feat to achieve but let's try that for 2018. Whatever the case may be, let's focus on creating unique personal content and share with the world. Sponsorships will come once I have achieved that status of niche and unique and not get lost in one of the pages in world wide web. I love what I do so it's just a paradigm shift of the ideas to implement on all my social media channels. I have been trying to start the minimalism practices and recently wrote an article on the same in one of the UK-SA collaboration magazine named Anytime Anywhere Magazine where Passion People Places is the motto. I will work on getting sponsorship for the Travel and Technology pages I write in this magazine. Check it out if you can find an issue at airports, hotels and Gautrain stations. It will be awesome to work on this new initiative in 2018 as we create something unique every month and the team is simply excellent. All the team members are working very hard and smart to make it a great magazine comparable with Bar Coded magazines. Generally, in life, you have to work hard to achieve the status of contentment and it's a daily practice which needs continuous efforts just like minimalism. The Life's Way has achieved a lot and is happy with the results as the amount of time invested is also limited and lost to do the posts for free stuff looking PR companies but now onwards whatever time is saved will be to work on creating unique and lovely content and then sharing on all my social media channels. Also, each social media channel needs some time and efforts to create a unique design and posts, so in 2018 each will be allocated time and respect. Opportunities might come from any channels but myself being an opportunistic blogger, I will be there to grab them. Last Year December was very hectic at work and I could not find time to do any blog posts. I did receive some surprise gifts from one of the brands which I wrote about. December 2016 felt like the shortest month where it passed as soon as it came. 1. @SunStreamEnergy PLUS™ Keeps You Connected Using #SolarEnergy #SunStream - http://www.thelifesway.com/2016/12/sunstreamenergy-plus-keeps-you.html - This is a totally awesome gadget to have in your car or home and as my car in India, doesn't have a 12V charger installed this came in real handy when I visited India in the month of Jan/Feb 2017. Loved the same in red color and gifted the same to my mom as she liked the portable charger with a built-in torch. 2. Love thy neighbour…but don’t get caught! #ChatsworthStyle #KandasamysMovie @kandasamysmovie - http://www.thelifesway.com/2016/12/love-thy-neighbourbut-dont-get-caught.html - This is one of the best locally made movie on South African Indian community. I totally fell in love with the movie and it's star cast when I met them at the premiere of the same. Watch it on DVD or online this is a riot of laughter and fun. 3. @TheGreatMoscow Circus Opens in #Johannesburg #MoscowCircus @MonteCasinoZA - http://www.thelifesway.com/2016/12/thegreatmoscow-circus-opens-in.html - Montecasino is an entertainment hub always bringing the best of the world to Johannesburg, South Africa. I have always been a part of many events and shows they have on their premises and The Great Moscow Circus was awesome to be a part of. The show offered a lot of magic and acrobatic performances which kept the audiences glued to its seats in amazement. 4. Are You Drinking And Driving? #DriveDry #ThisIsMyStory #Diageo Campaign - http://www.thelifesway.com/2016/12/are-you-drinking-and-driving-drivedry.html - This is again that time of the year when people need to be aware of the same. Drinking and Driving have impacted a lot of lives and let's make the world around you a safer place during the Summer and Christmas holidays here in South Africa. Take a pledge and follow the rules and have a great holiday season. As I celebrate 5 years of The Life's Way in 2017 and this being my 1350th post on my blog, I wish all my readers a Merry Christmas and Lovely New Year to look forward to. Live Well, enjoy your life and make your holidays memorable for the years to come and keep creating memories and do share them on your social media channels. Show some love on my instagram channel and see what I love most in my life! As the number of days towards my 5th birthday is nearing less and less, I am more and more grateful and thankful to the Universe for giving me this idea to start my blog. It's been a journey full of ups and downs which I loved and totally thank Universe for the same. The biggest year for The Life's Way blog was the year 2015 when I won #MissionSamsung Blogger Grand Finale and that year I received a 65inch Curved Samsung TV for the same. I simply adore the TV and have stopped going to cinemas for regular movies. This serves as a window into the house of the stars as I watch full HD content from the luxury of my home. The year 2016 has been fruitful too in terms of goodies received from Huawei in their launch events and also won the Samsung A5 smartphone from Fanta South Africa. Other than that I received a personalized UE Roll 2 Bluetooth speaker from Logitech which I really loved listening to. Also, I got Go Budds Bluetooth earphones from DJ Fresh which is an awesome little device to carry around your neck. 2016 also brought a lot of small gifts from power banks to pen drives; from bags to caps. The Year 2017 has been good so far as I won myself a wonderful ESL Maxnomic 2.0 Gaming Chair from Kwese Gamer at the rAge Expo. This year rAge Expo was wonderful for me as I also won the Adata 1TB portable HDD for my keeping my photographs safe. After been a part of Canon Roadshows for more than 4 years, my daughter won the Selphy Printer this time and she was really happy. Other than that there were some Gift Vouchers which also came my way as a part of goodies bag from several brands or the online contests won. On my birthday this year, my friend from TechSmart Magazine Robin Leigh gifted me Sony Xperia Ear which I have fallen in love with. Sony gave a good gift this time when they launched their new devices locally and I totally loved the Extra Bass headphones in Red color. I can't thank enough The Life's Way for opening up a platform where I can win things or receive them in a goodies bag. I am Thankful for all the social media channels and my presence on them allows me to participate in all the lovely contests throughout the year. Looking forward to a great 2018 where I will start my Youtube channel and trying to earn a living out of The Life's Way! Modesty is not the virtue one should possess these days in the world of social media. It's the least respected virtue in the world wide web. The more loud you are the more your followers will increase. People love gossips and the more you give them the more they love you for the same. I have stayed modest for most of the time and do my own work when I am invited to any events. But now I see that the PR companies are biased towards those who show off and just say stuff to say it. I will bring that element of Charm back in The Life's Way as it was worn off beacuse of the expectations burden set by my mind. Whenver in my life I have felt proud and acted proud, I have been shown the floor by the Universe. I don't want to do it as my experience of being proud has always been bad. It's always been my principle to stay humble and stay grounded and connected to your roots. But I can bring in my charm to create some great opportunities which can bring a lot of benefit to my blog and other social media channels. It's confusing me a lot to go one way and getting dragged the other when I talk about modesty. But as a Salesman of my blog and other social media channels, I have to be proud of my achievement whatsoever and sell my product at the value it deserves in the market. There shall be no undersell of the same as it requires time and efforts to complete the tasks and it brings a lot of benefit to the brand and PR companies. 20 days and my blog will complete 5 years and believe me in those years, I have been granted a lot by the Almighty Lord and Universe. I am happy too for all the experiences and stuff I have received in my life but not so happy about the brands which have used me for free. But I am sure in the future that I create so much value for myself and The Life's Way that people will have to pay twice the amount I was asking earlier to get them covered on my social media channels. That's a wish I would like to fulfill in 2018 with my hard work and focussed approach on all my channels. Also, I am looking forward to start my Youtube channel and let's see how it goes and what I have to say on the same. The Life's Way has received some genuine appreciations from many of the brands and PR companies. Just received one of the compliments from one of the managers saying that her job is easy because I have been posting her press releases and it gets shared so much on all my social media channels. I have done all that for that brand for free and I thanked her but I do need money to survive and invest back in my blog. The topic is Wonderful as I am amazed by the power of social media and blog. It can help you create your own entrepreneurial adventures and you can earn from the same. So many in this trade has become big celebrities or authors or TV artists now. They are well respected because they followed their heart and creating content which is liked by everyone else and people love to see the passionate living. I love some of the posts I have written myself to earn myself a status of amazement what my mind can create. I have created and weaved many stories in my mind and on my blog several times. I have also won several twitter and facebook contests because of my story creating mind. I know what to write to win the same and rest depends on the luck. If someone luckier than you are participating then you won't win else if your content is great, you will definitely win the same. My mind is tuned to work towards winning in contests automatically. I have benefitted myself several times as I catch all the keywords related to contests etc whereas other people don't see them. Blogging has given me so many trips, invites, goodies that it keeps me amazed at what is in store for me next? I always have to keep on creating new dreams as then only I can fulfill them. Whatever I think I need in my life, my blog or my other social media channels help it get fulfilled automatically after a time gap. I am so grateful to Universe for the same too as I totally believe in Law of Attraction principle. On the 5th anniversary month of The Life's Way, I dream of fulfilling all my unfulfilled dreams which have given me sleepless nights till now. I will create a stronger aura for them to also come to me sooner than later. I thank everyone who has worked with me in the past and will work with me in the new years as I continue to soar high in the sky. Blogging is not an easy task as it always needs time and resource to fulfill the ongoing requirements of the niche segment you work in. Even if you are posting Press releases then also it takes at least some time to match the look and feel of your blog. I always need photos in all my posts so it takes a lot of time to post the same even. Also, if the same press release is on all other blogs too then you are not differentiating and also it's a favor to the brand and to maintain the relationship you have to do the same. Tenacity is a virtue which needs a lot of effort to carry on without getting demotivated. I really have evolved from the time when I was devoting my 100% on The Life's Way but as it has happened a lot of PR companies have benefitted without my personal benefits. So it's getting back to basics and only post what you want to do and write about. It might bring you fewer followers and readers but if your content is authentic then the brands will come after you sooner or later. Also, the second best part will be the less expectation you will have from the brand or the PR company as you do only what you are paid for. I don't want to fall into the trap of getting more pageviews by wasting my time on the brands which don't value me. I have sent them multiple requests so many times but not got any response so now onwards I will only do what I want to do for those brands and that won't be free at all. It needs certain thought daily and gives unfulfilled expectations if you are not able to do it. I get irritated by myself if I am unable to complete the tasks I set myself for. It gets reflected in my daily life and what for? for some free looking PR companies and for stuff which I never wanted in the first place or some invite where I have to buy the cold drinks myself. There have been instances that I only could drink water or bought coca-cola by giving my own personal money after spending on petrol and parking too without any goodies bag too at the end. This is such a waste of time if you think that I could have invested that time playing some games with my daughter or teaching her mathematics. I will totally avoid such events from now onwards and that's the first resolution to take in 2018! Blogging is an art and once you are addicted to the same, you are totally under its control. You have to keep thinking about creating something unique and different from what you have read in the market. When you are unique in your art, then the world respects you else you are just one of the run on the mill kind and the world forgets you. I don't say that I am unique but I am searching for that niche and trying to reach there. Once I have reached there then I will say that I have arrived. 5 Years of The Life's Way has given me so many things and invites that I could have never got in my life otherwise. The year 2013 when I was in India till October end, I got a trip to Mumbai to meet all the Bollywood stars at Blackberry Men Sharp Nights and my daughter went to see M.A.D Rob on Pogo TV when I won the HP Print Art contest for one of her creations. It was a dream come true for her. I bought my first tablet from USA - Google Nexus 7 and somehow I received an Apple iPad cover and that day I thought now cover has come and iPad is not far away too. Within a month of receiving cover from Hitachi, I got the Apple iPad Mini from Hyundai Motors. I won an HP sleekbook in one of the contests, received iPod Shuffle in another contest and also got Kingdom of Dreams Platinum Passes for 8 persons. It was a dream come true too as my parents and we watched both the shows live on stage for free. It was an awesome year if I consider the influx of gifts and goodies in a single year till date. 2014 I was completely in South Africa and the first contest I won here was Incredible Connection Selfie contest and received some LED light and Chinese headphones. The best thing I won was the #MissionSamsung Community Challenge and got the NX300 Camera as my prize. I also went on my first Capetown trip with Samsung for Note 4 launch event. I also won another ZAR 2500 Sandton City Gift Voucher in a Selfie contest by then Nokia. I won a lot of stuff or received from many brands as goodies bag which I truly treasured. I even won the Beacon Chocolate contest to get myself ZAR600 cash prize which I invested back in buying more chocolate. I also bought my first DSLR from Nikon D7000 after a long long journey. It was awesome to enhance my photography with this beast I loved to pet. Overall, The Life's Way has been providing for me whatever I have desired in my life. It could come from the blog or any other social media channel but the inflow has always been there. I consider myself unique in that way as I can create a pipeline wherever I want, whenever I want, in any country I want. I have to again create a pipeline for my 5th Birthday anniversary of my love, my life and my passion - The Life's Way. Contact me at thelifesway@gmail.com to sponsor your products and services #TheLifesWay #PhotoYatra! We have learned and heard that Luck favors the brave but is it true? Do you believe in the same or you have a different opinion on the same? I always thought the other one to be luckier than me. Never I respected my luck as I never thought about being grateful for everything I had in my childhood. I always focussed on what I don't have and others have it. That's a bad position to stay in all your life but with time as your mind grows and you become aware of your surroundings, you seem to realize that all fingers are not made same. You have your own struggles in life, ups and downs are all part of life and you have to start living with the same. You always have to be grateful for what you have and what you are going to get. This feeling of the other being Lucky more than yourself doesn't go easily and always hits us again and again. It hits me daily when I see the facebook wall or the Instagram feed as I find the people working with the brands I want to work with and gets invited to all the events. They get all the gadgets to keep and also gets flown to foreign countries for the gadgets launches. Is this my perception that they are lucky or is it that they produce great content? Are they more passionate than me or what's their winning attitude that keeps them on the top? I ask this question to myself again and again but always leave at that they are more luckier as they are passionately creating the right content and well connected. Luck is no one's prerogative but it's all about the attitude that you have in your life. I used to win so many twitter contests daily but no one knows how many I participate in without winning. The more you play the more are your chances of winning. So the same logic can be applied to Luck meaning the more you go out and work with creating great content, more and more brands will come back to you. I consider myself Lucky that I thought of starting #TheLifesWay 5 years back and this platform has been able to provide me with a sense of achievement. I have created some great content and worked on several campaigns for a lot of brands and I have always given my 100% to the same. The Life's Way continues to provide me to stay in the top of my game in the Social Media World of Influence. Contact me at thelifesway@gmail.com to blog, share and influence about your products and services on all my Social Media channels #TheLifesWay #PhotoYatra! What would you do if your husband’s life suddenly changed irrevocably and he is about to give up hope? You take over and give him the strength to go on by loving him unconditionally, just like Diana Cavendish (Claire Foy) did in this inspiring true story that is coming to life on the big screen in January 2018. BREATHE is actor, Andy Serkis’s (Lord of the Rings, The Hobbit: An Unexpected Journey, Rise, Star Wars: The Force Awakens, Dawn of the Planet of the Apes) directorial debut and he worked very closely with scriptwriter, William Nicholson (Gladiator, Les Misérables, First Knight) to tell this story of his best friend and producer, Johnathan Cavendish’s (Bridget Jones’s Diary, Elizabeth: The Golden Age) parents with the sensitivity and empathy that it deserved. Adventurous and charismatic, Robin Cavendish (Andrew Garfield) has his whole life ahead of him when he is paralyzed by polio whilst in Africa at the age of twenty-eight. Against all advice, Robin’s wife Diana brings him home from the hospital where her devotion and witty determination transcends his disability. Together they refuse to be imprisoned by his suffering; dazzling others with their humor, courage, and lust for life. They also use their own story to inspire other people who are going through similar circumstances. Clever technology makes it possible for Robin to ‘get out of bed’ and experience new adventures and enables him to become an advocate for disabled people across the world. The movie, which is set in the 1950’s, not only boasts a beautiful set and costume design, but also a star-studded cast. Andrew Garfield, who plays Robin, is famous for his roles in The Social Network, Never Let Me Go, The Amazing Spider-Man and Silence. Claire Foy, who is praised for her accurate portrayal of Diana Cavendish, starred in Season of the Witch and Going Postal. “The most important thing to get was their love for each other. I didn’t want to over-sentimentalize her, and she definitely doesn’t want to be seen as a saint, or an angel, or incredible sort of nurse. It was actually just true love,” says Foy about getting into character for this part. Hugh Bonneville, who has already been nominated for BAFTA, Emmy and Golden Globe awards for his role in Downtown Abbey, and Tom Hollander (Mission Impossible, About Time, Pirates of the Caribbean) can also be seen in the movie. The film had its world premiere at the Toronto International Film Festival in September and was also screened at the Opening Night Gala at the BFI London Film Festival. It has already been nominated for an Archie Award for Best First Feature at the Philadelphia Film Festival and Best Makeup and Hair Design and Sound at the Independent British Film Awards. During the Heartland Film Festival, it won the Truly Moving Picture Award. 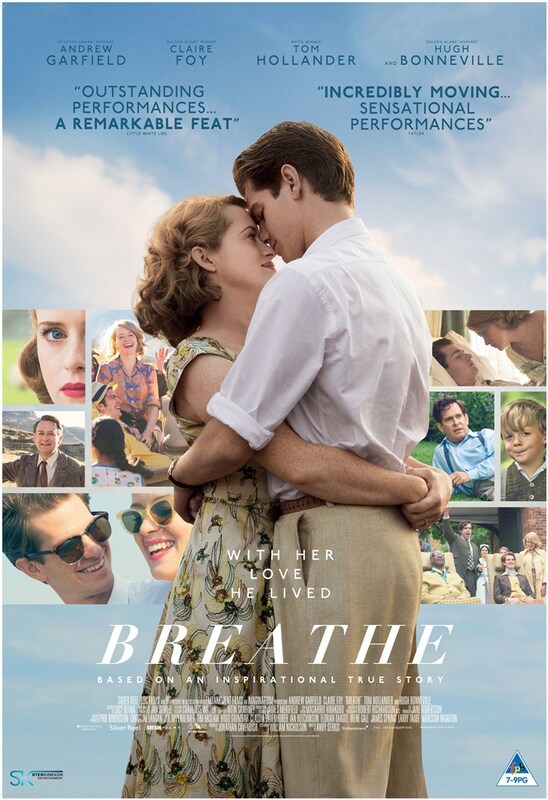 BREATHE is a heart-warming and highly emotional celebration of bravery and human possibility, a love story about living every breath as though it’s your last. It will appeal to audiences of all ages, but especially if you enjoyed The Theory of Everything, Lion, The Imitation Game, and Brooklyn. This inspirational movie is distributed by Ster-Kinekor Entertainment and will be released in South African cinemas on 19 January 2018. I have always been attached to technology and it was my luck or dream that I went into completing Electronics Engineering. I was always in love with the camera and when I got a camera phone gifted by my brother, I took unlimited photos till the memory was full. During those times, VGA camera was the highest and then later Nokia had some 1.3MP camera installed. Later, I got Nokia N8 which had the 3.2MP camera and it was awesome to take photos using the same. At that time, the main camera I was using had only 5 MP sensor. Camera in future phones crossed 40MP in Nokia 1020 and it was amazing to use the same phone for a review period. I went to the launch event of the same in India and it was simply awesome. I loved my HTC phones always and I bought one after Google's Nexus One made by HTC died due to the broken power button. It was a common issue on that phone which I only came to know after mines got broken. I had to spend a lot of money to buy HTC One M7 but I fell in love with the same immediately. I had a choice at that time to buy Samsung Galaxy Note 2 as it was cheaper and was coming with exchange offer in India which would have saved me enough money to buy another mid-range smartphone. But when I used my Bose Earphones on HTC One M7 on a demo unit at the retail store, the audio impact was the difference between Samsung and HTC device. I went and bought HTC One M7 and after coming here to South Africa took a lot of pictures here. HTC's PR Company gifted me HTC One M8 (old review unit) way back in 2015 and I am still using the same but now it's time to upgrade once again. In my 5th year of The Life's Way, I would buy if not sponsored the smartphone soon. I use my smartphone to take photos, post them on Instagram, I tweet a lot and also sometimes I write a whole blog post on the smartphone using Swype keyboard. I still remember I have written some chapters when I collaborated with another bloggers to write a novel using the flow method used in Swype keyboard app. I have bought a lot of technology in my life but never learned to recycle the same. It was still with me but now as I am nearing the second half of my life, I am giving it all away to the poor and needy in India. My mom has already distributed all the 13 old Nokia phones models I had. I am reducing my lifestyle to follow minimalism and use only one device at a time for the purpose I want it to. I want to reduce all the electronics clutter I have in the new year and that's a resolution for 2018. 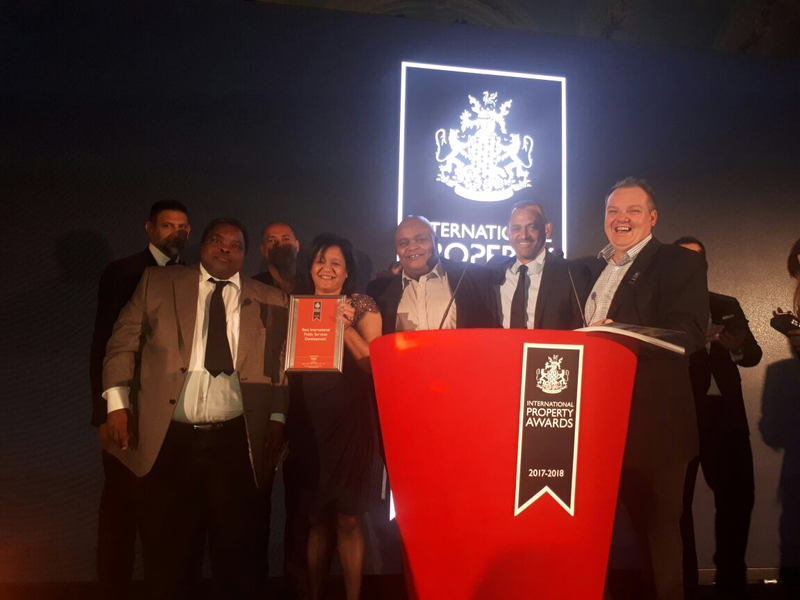 Being a part of the IPA Public Services Development Awards category and the only nominee from Africa, has shown that the Speakers Council Chamber, is a world class architectural innovation which is not an anomaly in South Africa but in a globally competitive property development environment, stands as one of the best in its class. This regional award has given us JPC the opportunity to showcase the Chamber and its surrounding Piazza. The inside of the now Iconic Chamber has been designed in such a way that it provides seating capacity for 363 councillors and 172 seats in the gallery for the public and media – 80 seats more than is currently required, in order to cater for future expansion. The state-of-the-art audio-visual and delegate system is fully programmable and completely customised to be updated in line with any future changes in the way that the Chamber operates. This development creates 500 jobs from the surrounding communities. This celebrates African principles of space-making, while incorporating smart technologies and green building systems. The open air Piazza alongside the Chamber encourages the local community to come together and enjoy the various aspects that have been built for their leisure and enjoyment such as the outdoor gym, children’s playground and chess set, thre is little that has not been covered. The art that was selected for the inside of the building, in its simplicity and design ensures that a story is told from past and present using not only art forms but also different forms of material from copper to steel, from canvas to glass. As the years go by, the story will still be told in the way that it should be, that of the journey of Johannesburg and its residents to that of freedom within the city. One of the unique features of the building is the 134 Kiat Totems, each of which expresses different emotions from the original artist. From hurt, to joy, from sadness and anger to euphoria. As permanent fixtures woven into the fabric of the Council Chamber’s design, these totems will stand as testaments to the people of Johannesburg and their heritage. The building stands tall at the top of one of Johannesburg’s busiest streets, Rissk Street, and remindsus each day that the skyline is changing together with the people of the city. 4 Years Ago when I came to South Africa I had to first sort out the internet connection and it was a month before I could post the first post. My Indiblogger rating fell after a long while and I needed it to go back to the original levels. I had to start once again to get in touch with a lot of brands using the channel I know best. I contacted all of them using Twitter and Sony Pictures was the one who got in touch with me and put me on the media list for Sterkinekor. I watched every picture they showcased every Tuesday and Thursday and then reviewed them too. I made a lot of friends at the movies and it was really fun to visit the same every week. I was not able to do it this year as I could not leave my office at the media screening times. There is always a possibility to create opportunities and venture into something new which you have never done before. It has happened to me many times in my life and I am an opportunistic blogger. I calculate the returns on anything I do immediately and then see if that thing is worth the time I spend. It has given me a lot of benefits in terms of monetary benefits which bought me things I always wanted to buy. My whole benefits from my blog go back into paying for the domain and buying things like photography equipment. I love photography and used to win many photo contests on Facebook for many brands. I used to always see and remember the photos I have taken so as to fit the same for the right contest entry and it made me sure that I win the prize. Though it was never anything big, it was worth enjoying. Opportunities have always brought me the strong willpower to work and win the game. I might be lacking in my game only due to work tensions or laziness but when I have thought about something, I have always worked to win it. Sometimes the world takes advantage of you where you live in false hope that something will happen if you do this for them or they will develop the soft corner for you but its a vicious circle. Get paid for your time and get away with the same and leave all emotions out so that there are no unfulfilled expectations at your end. If I get sponsorships for any place to go and attend, then I make sure I return the value in terms of my social media content sharing on Twitter, Instagram, and Facebook. The Life's Way is going to celebrate its 5th birthday in 27 days now and the best thing that has happened is the launch of Anytime Anywhere Magazine South Africa Print Edition on 29th November and it features 2 articles written by me. Minimalism in Digital World and Margate: A Nostalgic Journey. It's my first experience and I am looking forward to all the comments/tips and tricks of the trade. Here are the links to the online magazine. Another story from my life belongs to the part where I always had a dream to drive an SUV for more than 2500 kilometers. It happened in India when we planned to travel to Allahabad for a friend's wedding from New Delhi on a road trip of 700 kilometers in Tata Safari. Tata Safari used to be the most sought-after vehicle in the SUV category because of its huge legroom and boot space along with a comfortable ride. As we started picking up friends in the evening, we planned a stopover after 200 kilometers for the night at her house. During that time we laughed, enjoyed and loved the journey all the way to Mathura. On reaching her house, we were served with the best food and comfortable night stay. But alas! as morning happened, I received a call from my wife that my daughter who was still 3 months old at that time was not well. She told me to come back immediately as we need to take her to doctor. I could not continue my journey any further and I had to return by roadways bus back to Gurgaon. But another chance to fulfill this dream came in London when we planned a trip to Scotland during one of the Easter holidays and we planned a road trip of more than 2500 kilometers along with 4 friends. It involved visiting several places and booking accommodation at all those locations. We booked a category B car for the trip so that it's comfortable and can carry our luggage for the whole trip. When we reach Enterprise Car to pick up the car for the next morning ride to Lake District, to our surprise the guy gave us an automatic Chevrolet Captiva LT. It was awesome and took me some time to get adjusted to the automatic gear-box. As it was my first time, it gave me a hard time to find out how to open the petrol tank? It was so funny as I went through the manuals and took some 10-15 minutes standing in front of the petrol pump. I started driving that night at 230am and continued to drive till 1100 pm in the night covering 1200 kilometers from London to the Isle of Skye via Lake District in a single day. It was an awesome trip and I felt very happy to be fulfilling my dream to drive an SUV for more than 2500 kilometers. Thank You, Universe! We always have a lot of small and big dreams and we shall always try to fulfill them sooner or later. Also, we need to keep making new dreams all the time as that gives us Hope to carry on and work towards them! Generation Z – those born between 1996 and the present – are watching less television than their predecessors. Instead they are spending all that free time on their phones. In fact, they are spending over 15 hours a week on their smartphones, which are a mode of introduction into global technology. To better usher Gen Z’ers into this era of hyper connectivity, Samsung introduced the next level of sophistication to its Galaxy J series range. 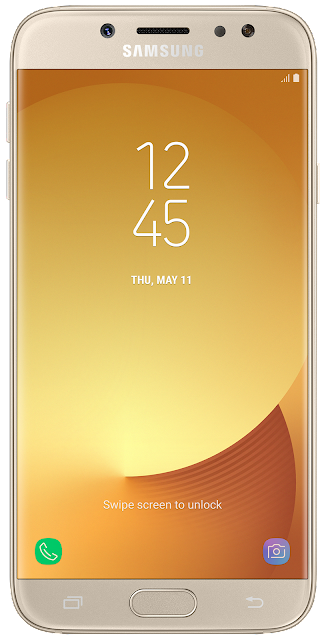 “The new and exciting Galaxy J Pro series consists of the Galaxy J5 Pro and Galaxy J7 Pro models and is poised to enable Gen Z’ers to enjoy a smarter life with a phone that has premium Samsung Galaxy range features, a stylish body design and enhanced camera technology at an affordable price,” says Rui Brits Senior Manager of Product Marketing, Samsung South Africa. Those Gen Z’ers old enough to enter the workplace are already jacked into the connected era of the internet, memes and social media. They are an always-on generation and demand quick access to the information they need. Which is why the J7 Pro’s Always-On Display, which enables consumers to check information at a glance without waking up the screen, is the perfect feature for these users. Not only is this device practical, but it is also beautiful and comfortable to hold. The J Pro series models introduce a sleek design with a body made of metal and 2.5D glass. The curved back accentuates its fluid lines and provides a perfect grip for watching movies or playing games. It comes in a range of colours to suit everyone’s style. But what would any smartphone be without the ever-evolving camera? The Galaxy J5 and J7 Pro series helps consumers take clear, bright photos. With its bright (rear: F1.7; front: F1.9), high-resolution, 13 MP cameras, it’s especially perfect for taking selfies in low light conditions. 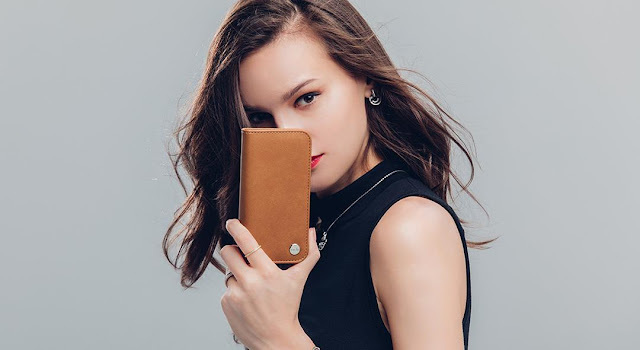 The Selfie Flash complements the front LED flash by turning the entire screen into a second flash to brighten your face, while a great selfie with friends can be taken by show of palm - without touching the shutter button. “Samsung wanted to bring our customers a new and exciting smartphone that meets their lifestyles, tastes and budgets. We are confident that the Galaxy J Series Pro (2017) will appeal to existing and new customers seeking a beautifully designed, powerful smartphone from a premium brand, all at an affordable price point,” Brits said. Being a modern parent has its own unique challenges, especially when it comes to preparing lunch boxes or tasty, wholesome treats that the kids will love. Luckily for parents and children alike, the creamy nuttiness of Yum Yum peanut butter not only helps spread the fun, but it is ‘Melts in Your Mouth’ delicious too. “Yum Yum offers that ‘Melts in Your Mouth’ smoothness and creaminess as a result of our specially designed three-phase grinding process. 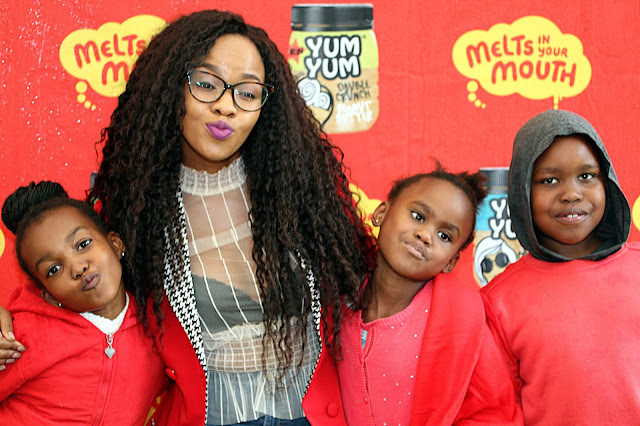 This means that the delicious taste and flavour of the peanuts is retained, while creating a silky texture that leaves your taste buds wanting more,” says Yum Yum Assistant Brand Manager, Terreisha Naidoo. Whether it is spread on a sandwich, drizzled on top of an ice-cream treat or used as a creamy addition to your baking, Yum Yum peanut butter is so deliciously smooth it ‘Melts in your Mouth’ every time you use it, another reason why 80% prefer Yum Yum. In fact it’s so tasty, you’ll be tempted to eat it straight from the jar. Yum Yum ‘Melts in your Mouth’ taste is available in 6 nutty flavours. It is easy to spread & doesn’t break the bread and an all-round easy option for moms and kids. So next time you are looking for something truly delicious, be sure to spread the fun, smoothness and nutty goodness – it’s so creamy, you will go nuts for the #MeltsInYourMouth texture of Yum Yum. Yum Yum also launched Go Sachet containing 15 grams of smooth peanut butter to carry around and priced at around ZAR 1.79 only it can bring deliciousness to you all the time. The launch event was well planned but the rains has something else in store. I was part of the event with my family and some of the images from the event is shared on my instagram.com/araijain channel. I also won the dance competition with my daughter and awaiting the gift hamper for the same from the brand and I hope it will contain the sheer awesomeness of recipes that can be made out of Yum Yum Peanut Butter. 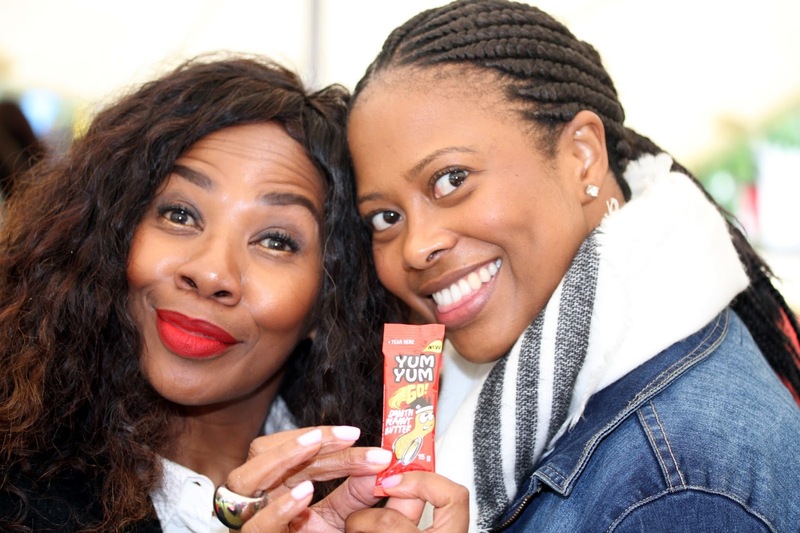 Thanks a lot to the Yum Yum brand manager Lonwabo Thinta for making me a winner. The much-anticipated local launch of the iPhone X is upon us. Apple's 10th anniversary offering is loaded with plenty of high-end hardware and new features, including Face ID that unlocks the phone when users look at it, and wireless charging. But getting the latest smartphone in-hand is only half the battle won. Sure, you’ll have the best technology at your fingertips, but all that will mean nothing if your device is not adequately protected - and personalised (a floral touch is not for everyone, after all). Moshi, a San Francisco-based lifestyle brand, and a global leader in mobile accessories, gives us the lowdown on choosing the right cover for your phone. If you’re going to buy a screen protector, go for one that’s designed specifically for your device – and make sure it’s durable, shock-proof and scratch-proof. With the high cost of repairing an iPhone screen (and repairing the new iPhone X’s screen set to be more expensive than any of the previous versions), it’s a good idea to have a solid case at hand. You wouldn’t want to be one of the 23%* of iPhone users walking around with a cracked screen – it’s not a good look! You’ll also want to choose a screen protector that’s as thin as possible with rounded edges (like Moshi's AirFoil Glass) so that screen clarity and touch sensitivity is maintained. Flip-open or wallet-style covers are stylish and pocket-friendly. They’re a particularly good option if you intend on transporting your phone in a bag, because they offer all-round protection. Wallet cases also allow you to carry your cards, cash, and iPhone in one sleek form factor. Plus, they double as convenient stands for watching videos and browsing the web. When choosing a wallet case, make sure it has a weather-proof and durable exterior and a shatter-proof frame. Also, make sure all buttons and cameras remain fully accessible so you don’t need to remove your iPhone to take photos or videos. Many iPhone lovers choose to go cover-free because they don’t want to ruin the inherent beauty of a slim, sleek phone – especially when they select a metallic finish that they love. The good news is that some of the latest sleek cases mimic the look of an iPhone, and in the ultimate fusion of design and functionality, offer drop-protection. When choosing a sleek case, make sure you don’t skimp on quality that will leave your phone exposed. Another bonus that the Moshi covers have over other brands is that the case is made of a hybrid material instead of pure silicon that tends to turn yellow over time. This protective patterned case, made from fabric and with a metal frame, will add a touch of chic to your phone. The ultra-slim design allows you to show off your new toy and the TriClear coating makes sure your device is protected from dirt and scratches while in your handbag. What’s more, if your foundation or any other make-up product gets on the case, don’t stress about stains – all you need to do is wipe off the case with a cloth. Tired of having your phone damaged with every jog or jump? Moshi has the solution to getting the perfect picture or action clip without damaging your phone. Each kit is made using HexCore architecture to protect your phone from falls, as well as a quick-release function for when you need to access your device. Looking for an accessory that will add instant glam to your iPhone? Look no further than the iGlaze – its sleek, glossy look will fit right into your urban lifestyle. An affordable cover for those who like options, Vitros comes in a range of fun colours with a high-gloss finish. Your phone remains fully functional even when it’s laid flat, thanks to the raised bezel. This magnetic cover offers 360° protection, allows you to check your notifications without opening the cover, and its sophisticated design looks great paired with a suit and tie. An all-round organiser, this leather wallet case has space for three cards and features a folding stand for watching videos on-the-go. It doesn’t stop you from accessing your buttons or camera either. What more could you want? More information about Moshi …..
Moshi is serious about product design. A rarity in the accessories business, all of Moshi's products - including tooling - are designed in-house, from the ground up. These factors are key in ensuring that every Moshi product is consistently of the utmost quality, reasonably priced and unique from what is commonly found in the marketplace. Moshi began with one product - a camera pouch - and today produces more than 450 products in an array of categories, ranging from phone cases, screen protectors and portable batteries, to audio cables, adapters and travel essentials. The brand has a sales footprint across all continents and its products can be found in more than 80 countries. Plus, it has enjoyed a presence in South Africa for over seven years.